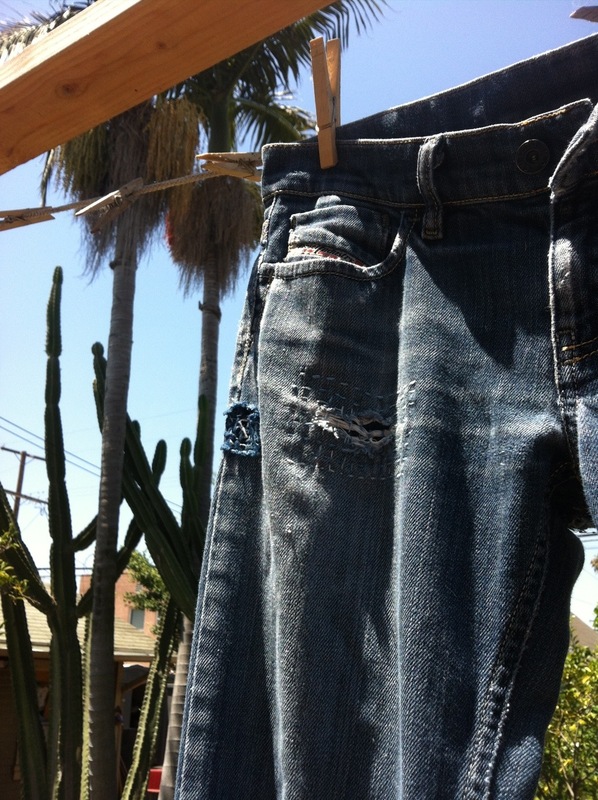 This entry was posted in inspiration, mending, moon, nature, not about shibori, wondering and tagged inspiration, low tide, san onofre on January 3, 2014 by shiborigirl. After yesterday’s somewhat subtle post and other ongoing nonsense which once again took up a bunch of my time to deal with -here is what is going on. An online shibori techniques on silk class has been announced on another site. (I actually know this person as she was a past customer who has previously asked my thoughts on formatting her own online teaching site-I shared my experience with her. She even asked me to teach there. I have not, preferring to do my own thing -as usual.) Interested in her new online shibori class offering, I clicked to the class signup page. I saw it was being taught by someone who has taken all my own online dye classes. The images selected to present for the class seemed a bit off. Having seen an awful lot of shibori I questioned the site owner as to whether or not these pieces were the work of the instructor. She assured me they were. I actually signed up for the class, wondering. Then, I received my DYERSlist email for the day. There, the List Mom is promoting this same online shibori class. I wondered about this. I emailed the List Mom and asked if I could also put a link to my online classes there. I asked because it was my understanding that since this list is hosted on a public university site there was to be no personal commercial promotion. I received back an email saying that no, I couldn’t post like that-that I would need to have someone else post for me, preferably someone who had taken the class. I emailed back and asked if she had taken this class. No response so far (impossible I think as the class hasn’t yet occurred). OK. So back to the class listing. I decided my best recourse was to do a new blog post (yesterdays post) and remind folks that I too have a class offering online shibori techniques on silk. So I did. So as a matter of course I was looking over my class site and re-reading what I had written almost 2 years ago. Uh oh. Some thing seemed odd. I clicked over to the class on A for Artistic and saw the write up for the class with new eyes. It is word for word the intro to my class. Seriously. Word for freaking word. I hadn’t recognized it the first time around as it has been a long time. I wonder what the other materials for the class look like? I took screen shots of it so you can see it yourself-in case it gets changed. I imagine once I post this it might be removed (and the link above may not continue to work). I approach it this way for a reason… as an example of what can go wrong when you host classes by people you (apparently) don’t know… when you don’t check things out yourself…when the urge to make a buck or two or to gain some sort of attention gets ahead of doing the right thing. And who knows what is in the mind of someone who is copying and pasting the work of someone else and calling it their own? In that moment doesn’t some kind of bell go off? A twinge of guilt perhaps? You obviously know what you are doing is wrong (of course you do!). And now you have drawn others into your chaos…those who host your class…those who promote it sight unseen…people who sign up…other artists and makers that are part of the association or co-op where you teach and who support you and cheer you on. Even I was taken aback by this brazenness. Huh?? Just clicking to the previous link I newly discover that the write ups for her other shibori classes now posted all over the internet are very, very close to those I have written for other venues such as Quilt Festival, HGA, JANM and so forth. This sort of nonsense calls everything you do into question. How can you not understand this? OK. So can we have some rules to follow here? Create your own class descriptions. Write up your own handouts. Use images of your very own work to promote your teachings. Have a little respect. If not for others, just for yourself for cripes sakes. Some may think posting this is “unfair” or harsh. I am willing to take responsibility for this and hope that whatever wrath I suffer will be balanced out by someone thinking twice before doing this again-to me or any other person trying to make a living off their work and using the internet in that pursuit. I hope it helps in some small way. Those of us who make a living encouraging creativity, artistry, learning, & craft want to share what we do and see others take what they learn and make it into something of their own. Speaking for myself, I want to enhance and expand your creative joy and sense of wonder. I enjoy teaching you new things in new ways…offering a new view. I am not looking to see it duplicated or slightly modified so you can put it out there as your own. What purpose does that serve anyone? These sorts of instances take away the joy I find in doing what I do. Please don’t kill the joy. Last night I dreamt that every time I lifted my hand to the sky, a hummingbird landed on it. They were beautiful! And last week, I held a dragonfly who was on the verge of drowning in the backyard pond. This entry was posted in business of craft, dyeing, live and learn, mending, shibori, wondering, workshop and tagged A for Artistic, Adele Sciortino, canada, close imitation, Corina Aszerman, dyerslist, killjoy, online shibori classes, online shibori workshops, plagiarism, purloining and publication, respect, shibori, shibori dying, shiborigirl, silk shibori dyeing, textile studio, truth, wise daughters, wrongful appropriation on September 22, 2012 by shiborigirl. last post had me thinking about what gets lost in the rush. the rush to move ahead. 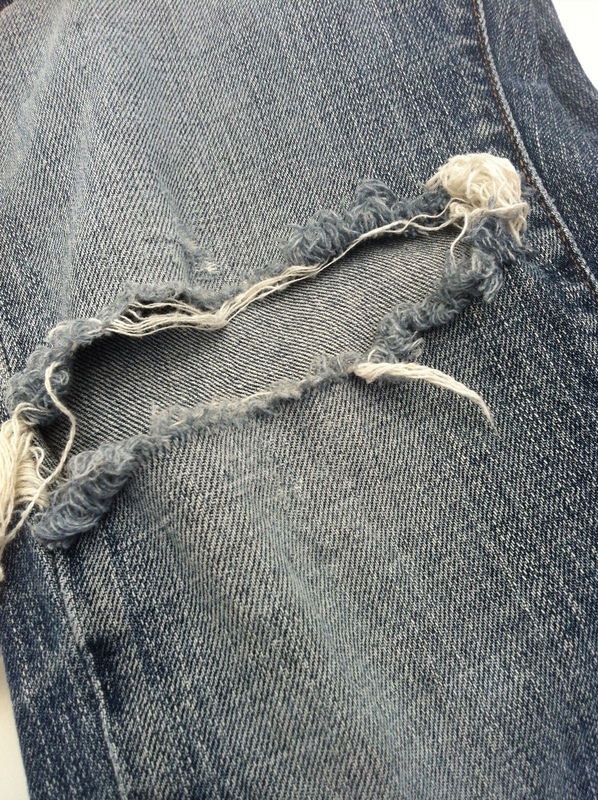 mending has a way of slowing you down. and besides, i really like the way it ends up looking. instead of rushing something into the rag bag or even into the charity bag (have you seen this?) you can mend it! and slow down a little bit. by the way, I updated the workshops and events page. 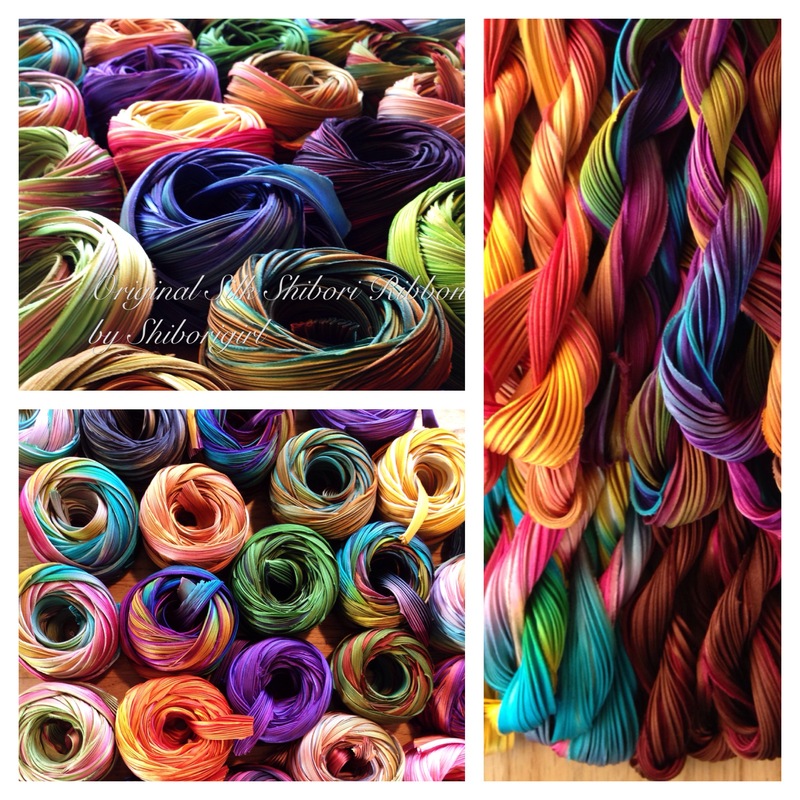 there is a shibori workshop at the Japanese American National Museum on Sat. Sept. 8. This entry was posted in mending, shibori, workshop and tagged Japanese American National Museum, mending, shibori, workshops on August 28, 2012 by shiborigirl. I’ve decided to group all mending and schedule it for mondays. I’ve always liked organizing my work for production and efficiency and this works for me. 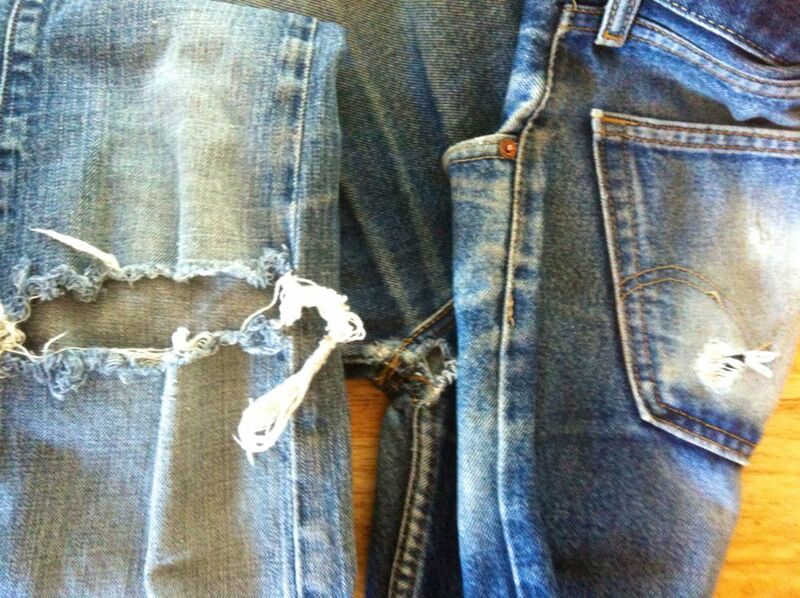 interestingly the mending project has elicited work from far as opposed to near. even though this involves transportation costs I think even that is quite outweighed by the other environmental costs incurred by throwing out and buying new. so mondays it is- a time for mending-likely later in the quiet of the day under the shade of the old avocado tree out back. it’s due to be taken out in the not too distant future- it’s over 70 years old and withering away at this point. I also like the notes I’ve received from those who were reminded that mending is possible-even preferable- and have taken up needles in hand to mend themselves. it’s warming up here today and how quickly the wash dries on the line! 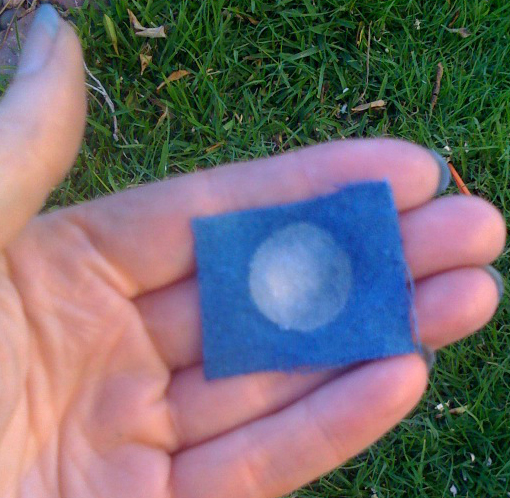 This entry was posted in boro, indigo, mending and tagged mending on July 9, 2012 by shiborigirl.